It was a bridge carrying a motorway high above a river in the port city of Genoa. One of the bridge's three suspension support towers looks to have collapsed, causing a long section of motorway to plunge some 50 meters (150 feet) into the river and on to buildings beneath the bridge near the river. 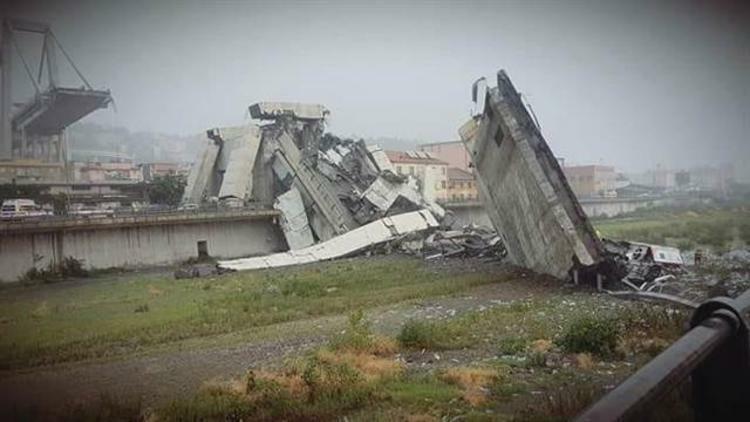 It looks like an industrial or warehouse area, and the collapse happened around noon local time. The bridge was crowded with vehicles when it went down. Traffic in Genoa is snarled as this was apparently a major route. There was an intense rain storm happening at the time, but that shouldn't have caused this to happen. They are currently putting the death toll at 20 confirmed dead, but that's preliminary since they think that there may be more buried under the rubble. All of the fatalities so far were in vehicles on the bridge. 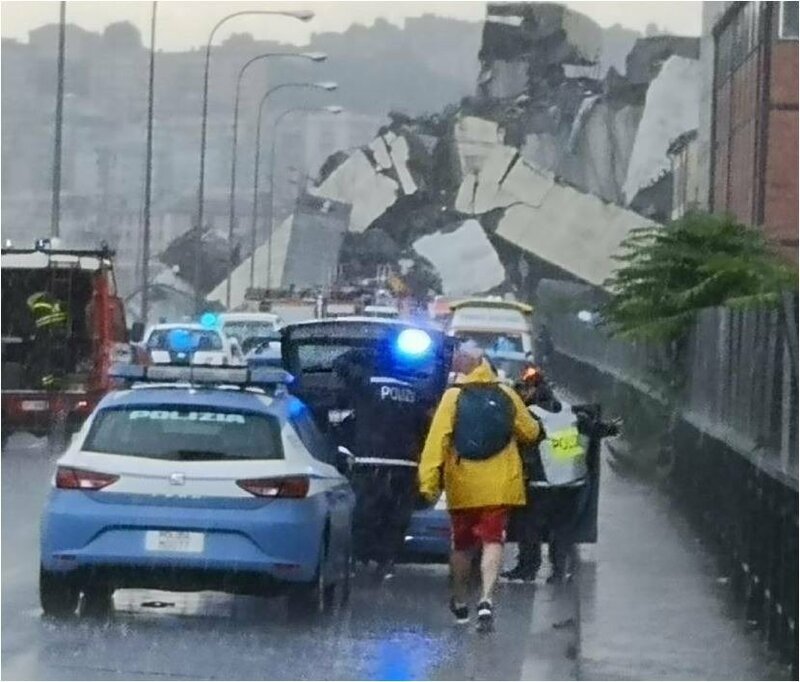 At least two warehouses below the bridge were reportedly crushed, but the hope is that they had nobody in them due to it being a local Italian holiday. But that probably meant more vehicles atop the bridge. Potentially different scales of disaster, with a 7-lane street below rather than a river, but causes that pedestrian bridge collapse of Florida International University to come to mind. Can't believe the latter was March of this year -- seemed like last year.